You do like having a functioning liver, right? Quick little totally unscientific poll here: Have you ever had an alcoholic beverage (or several) while taking antibiotics? Of course not – I'm no fool! I know I shouldn't... but yeah, of course I have. Wait, what? Is that bad or something? And what about alcohol and Tylenol? Yes, because I hate hangovers. No, because I love my liver. If you answered yes to either of those questions... you're not alone. And that's definitely a bad thing. New research from the National Institutes of Health (NIH) looked at data from a nationally representative survey, and found that about 42% of Americans admit to drinking alcohol and also taking prescription medications that can negatively interact with alcohol. The research doesn't show that those 42% of the people drank alcohol WHILE taking prescription meds, but it's a decent way to frame the scope of the issue. The problem is that mixing alcohol with many common medications can have surprisingly dangerous and awful side effects. More than you might even know about. Liver problems. Difficulty breathing. Confusion and dizziness. Even overdose and death in some cases. Serious stuff here. Obviously these interactions don't happen every time to every person who accidentally drinks while taking a medication... but depending on your general health, your liver function, and other variables, these side effects could potentially impact anyone. In other words: Do not drink alcohol if you are also taking medicine that can interact with it. Better safe than sorry. One way to gauge your risk: "The more often you drink alcohol, the more likely you are to have an interaction with a medication," study co-author Aaron White, Ph.D., a neuroscientist with the division of epidemiology and prevention research at the National Institute on Alcohol Abuse and Alcoholism (NIAAA), tells BuzzFeed Life. "You can look at it the opposite way too: The more often you take medication, the more likely you are to have it interact with alcohol." This latter point is especially an issue for senior citizens, the study authors say. "As we age we develop more chronic diseases, so we take more medications," co-author Rosalind Breslow, Ph.D., an epidemiologist with the division of epidemiology and prevention research at the NIAAA, tells BuzzFeed Life. "The potential for interaction goes up, and liver function — your ability to metabolize alcohol and other drugs — goes down." And here's another thing: Medications can last in your system a lot longer than you might think. "Just because you take the medication on Monday doesn't mean it's out of your body by Tuesday," White says. One way to tell how long a medication sticks around in your system is to go to the manufacturer's website and look for the half-life of the drug. If a drug has a half-life of 24 hours, for instance, then after 24 hours it will be half out of your system; after 48 hours another half of the remaining amount will be gone (leaving a quarter of it left); after 72 hours another half will be gone (leaving an eighth left)...and so on. "It really takes at least five half-lives before something's out of your system," White says. Here are 14 examples of super common types of medications that can have very dangerous reactions with alcohol, as well as what might happen if you do mix them. This information comes straight from this incredibly helpful NIAAA fact sheet about alcohol and medication interactions. Worth noting: These drugs definitely aren't the only ones that can mess you up when mixed with alcohol — they're just common examples. See the NIAAA's fact sheet for even more examples (though even that isn't a comprehensive list). And always, always talk to your doctor and check a new medication's label before taking it, to know whether mixing with alcohol is a problem, and if it's a particular issue for you specifically based on your medical history. Medicines: Tylenol, Advil, Aleve, Excedrin, Motrin, and more. What might happen: If you mix alcohol and acetaminophen (Tylenol), it can cause liver damage — seriously, do not do this. From Tylenol's website: "Severe liver damage may occur if you take 3 or more alcoholic drinks every day while using this product." That being said, Tylenol on its own can cause some level of liver damage for certain people (especially if you're taking more than you should be, or if you've inadvertently taken Tylenol at the same time as taking another medication with acetaminophen in it). Even one drink can make that damage worse. For all of these OTC pain drugs, mixing with alcohol brings on some risk of upset stomach, bleeding and ulcers, and rapid heartbeat. According to the FDA, your risk for stomach bleeding with NSAIDs — non-steroidal anti-inflammatory drugs such as aspirin, ibuprofin (Motrin, Advil), naproxen (Aleve) — goes up if you drink more than three drinks a day while taking them. Excedrin contains both acetaminophen and aspirin, for the record. Medicines: Demerol, Percocet, Vicodin, and more. What might happen: Well, you could die. According to the NIH, "Alcohol [...] can make the side effects of meperidine [Demerol] worse and can cause serious harm or death." For both Percocet (oxycodone) and Vicodin (hydrocodone), the NIH says: "Drinking alcohol [...] increases the risk that you will experience serious, life-threatening side effects." You may be noticing a pattern here. According to the NIAAA fact sheet, mixing these drugs with alcohol may also make you feel drowsy and dizzy, as well as experience slowed or difficult breathing, impaired motor control, unusual behavior, and problems with your memory. Medicines: Benadryl, Claritin, Claritin-D, Dimetapp, Zyrtec, Sudafed Sinus and Allergy, Tylenol Allergy Sinus, Tylenol Cold & Flu, and more. What might happen: Drinking alcohol while you're taking any of these "can add to the drowsiness" that these medications cause in the first place, according to the NIH. And any of the medications that contain acetaminophen (found in Tylenol) can have all the same liver-wrecking side effects that drinking with straight Tylenol might have. Medicines: Robitussin Cough, Robitussin A-C, and more. What might happen: You may feel drowsy or dizzy, and if you're taking a cough syrup with codeine, you can experience "serious or life-threatening side effects," according to the NIH. Medicines: Zithromax (think Z-Paks! ), Flagyl, Nizoral, and more. What might happen: According to the NIAAA fact sheet, for the antibiotics listed above you might experience a fast heartbeat and sudden changes in your blood pressure. Also stomach pain, vomiting, headache, and liver damage (with the Nizoral). The U.K.'s National Health Service goes into much greater detail about this issue. It clarifies that while numerous antibiotics don't interact dangerously with alcohol, some (like the ones in the NIAAA fact sheet) absolutely do. It also says that alcohol can make common unpleasant symptoms of antibiotics (upset stomach, dizziness, and so on) worse. You should talk to your doctor about it any time you get prescribed an antibiotic, just to be sure. That being said, according to an expert writing for the Mayo Clinic, alcohol can reduce your energy and make you take longer to recover from whatever is making you sick in the first place. So even if the alcohol doesn't have an obvious or direct interaction with the antibiotic you're taking... it's still best to lay off the booze while you're getting treatment. Medicines: Ativan, Klonopin, Paxil, Valium, Xanax, and more. What might happen: According to the NIAAA fact sheet, you could feel drowsy and dizzy, and there's a potential risk for overdose. You may also have slowed breathing, difficulty breathing, impaired motor control, strange behavior, and memory problems. Medicines: Abilify, Celexa, Cymbalta, Effexor, Lexapro, Paxil, Prozac, Wellbutrin, Zoloft, St. John's Wort, Seroquel, Remeron, Pamate, Nardil, and more. What might happen: Hooo boy. For all of them, you may feel drowsy, dizzy, and could up your risk of overdose. You also might feel depression and hopelessness. - Mixing alcohol with Seroquel or Remeron can make you have impaired motor control. - Mixing alcohol with Wellbutrin can make you significantly more sensitive to alcohol. - Mixing alcohol with Cymbalta can cause liver damage. - And mixing alcohol with a class of antidepressants called Monoamine oxidase inhibitors (MAOIs), such as Pamate and Nardil, can really mess with your heart. And MAOIs can cause your blood pressure to get dangerously high when you mix it with a byproduct in beer and wine. Medicines: Adderall, Concerta, Ritalin, Vyvanse, Focalin, Dexdrine Strattera, and more. - Mixing alcohol with Concerta, Ritalin, or Focalin can hurt your ability to concentrate. - Mixing alcohol with Adderall, Dexedrine, or Vyvanse can increase your risk for heart problems. - Mixing alcohol with Strattera can cause liver damage. 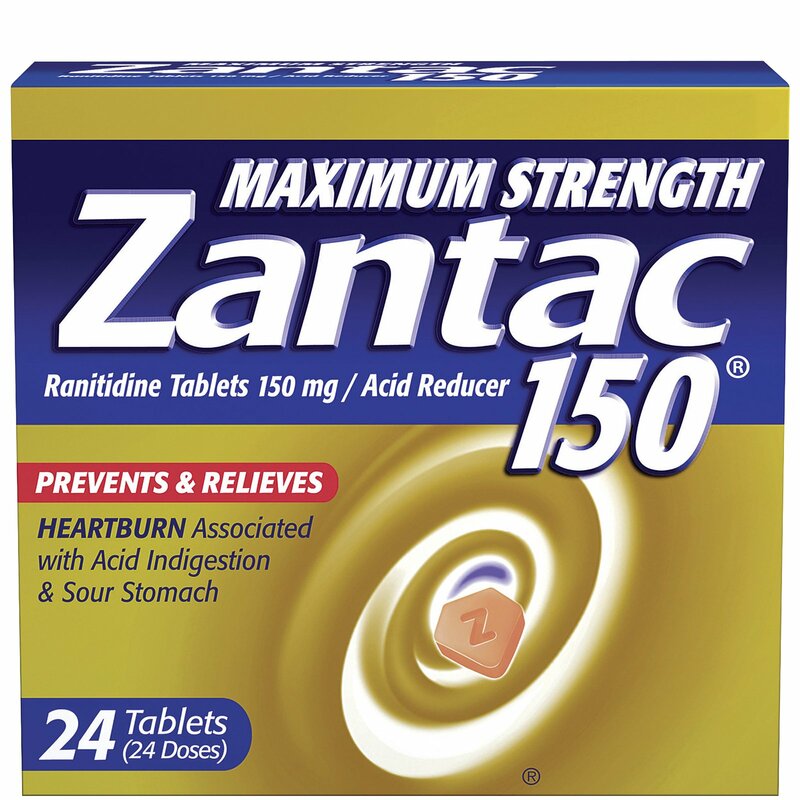 Medicines: Reglan, Zantac, and more. What might happen: Your heartbeat might race, and you'll have a way lower tolerance for alcohol. With Reglan, you can also impact your blood pressure. Medicines: Ambien, Lunesta, Sominex, herbal supplements (like chamomile, valerian, lavender), and more. What might happen: All the usual stuff: You'll feel drowsy, dizzy, and sleepy, and it might become hard to breathe. You'll also potentially experience impaired motor control, strange behavior, and trouble remembering things. According to the NIH, alcohol can make the typical side effects of sleep meds worse. Medicines: Lopressor HCT, Lotensin, Norvasc, Losartan, and more. What might happen: You may feel dizzy, drowsy, or faint. You can also develop heart problems, like an arrhythmia. Medicines: Glucotrol, Glynase, Micronase, Diabinese, and more. What might happen: Drinking while taking any of these (and more) medicines to help control your diabetes can cause your blood sugar levels to fall to dangerously low levels. It can also give you a "flushing reaction" that involves nausea, vomiting, blood pressure issues, headaches, and a racing heartbeat. What might happen: Internal bleeding, for starters. And with heavy drinking, you could actually suffer from blood clots, stroke, or heart attack. Medicines: Lipitor, Crestor, Niaspan, Zocor, Vytorin, Pravigard, and many more. What might happen: All of the medicines can cause liver damage. With Niaspan you might suffer from flushing and itching; with Pravigard you could increase your chances of stomach bleeding. The medicines listed as examples on this list don't even make up the half of it. Check out the NIAAA fact sheet to see even more examples of medications that interact poorly with alcohol. This includes medicines mentioned above, plus medications that treat issues like angina, coronary heart disease, epilepsy, arthritis, enlarged prostate, mood stabilizers, motion sickness and nausea, seizures, and more. Bottom line: Talk to your doctor. And when in doubt... don't drink while you're taking medicine, just to be safe. Breslow says that NIAAA guidelines recommend that women shouldn't drink more than three alcoholic beverages a day, and no more than seven per week. Men shouldn't drink more than four alcoholic drinks a day, and no more than 14 per week.